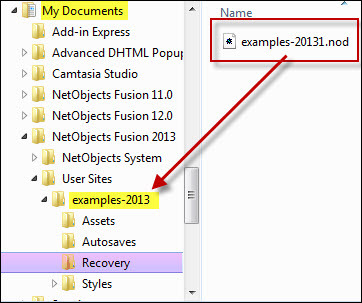 The first thing Fusion will do when you select Re-Optimize is to create a backup of the original site project in a folder called recover. 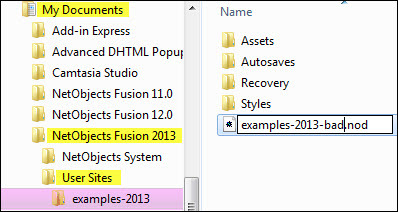 After this copy is created Fusion will then start the database tools. When it finishes you should see the entire site project within Site View if the function completed successfully. If you only see your Home page the re-optimize failed and you will need to move the backup into your user sites folder and use that instead of the corrupted one that remains in your project folder. There will come a time when you do a routine re-optimize of your web site and all of your pages except the home page are gone. Don't panic. This is an indication that you have problems with your project database. To recover from a re-optimize crash/failure that leaves you with only your home page showing. Important: You MUST move the project file to the correct location BEFORE you open it otherwise all of your graphics will be missing as the relative location for them will be wrong if your project file is opened in any folder other than where it is supposed to be located. You will need to locate and correct the problems that causes Fusion to crash before you can run re-optimize again.